As I walked back from Volta Hall at the University of Ghana in the early evening, I noticed there were swarms of flying ants around all the lights. It had poured earlier in the day, and the rain had brought out the ants for their mating ritual. 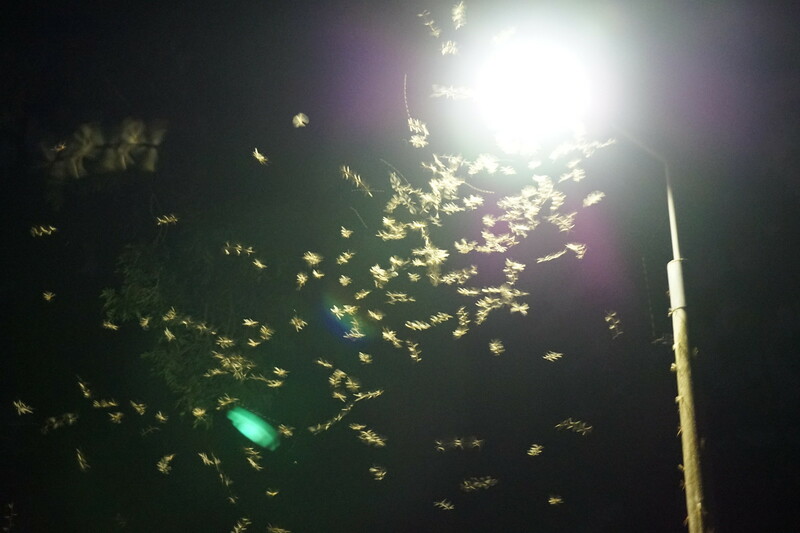 As I approached my room at the University Guest Centre, the swarms were even thicker and around the lights of the Centre buildings, even more so. 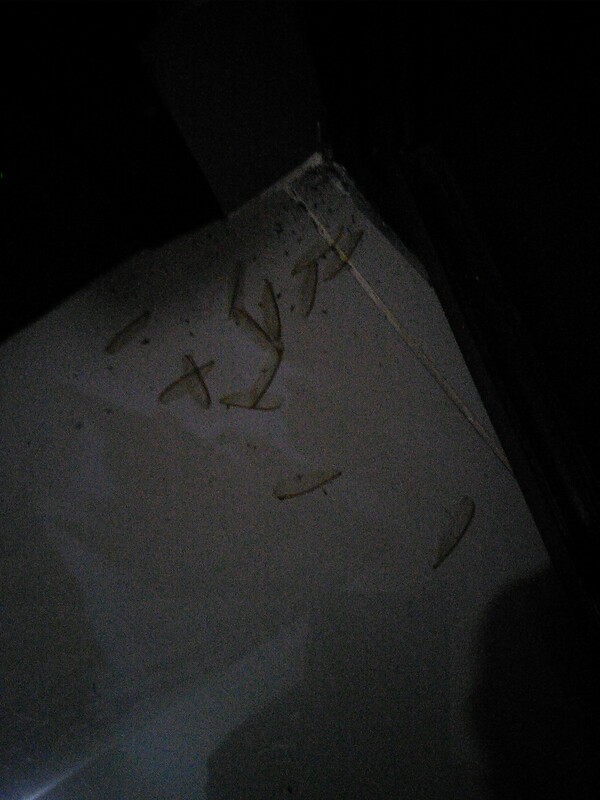 When I got to my door (with it's convenient bright light right above the door), I saw that the whole of the all and door iteself were covered with the swarming, flying ants. There was no way I could enter the door with bringing in a swarm with me. I dashed forward through the insects, opened the door and rushed in, trailing who knows how many behind me. As I turned on the lights and turned around, I saw dozens of the ants flitting about the light. Deciding to keep the far light on, I retreated to the other end of the room. I did some work and then noticed that the beating of the wings had stopped. I doubted that'd they'd died, so got up to look and saw many dozens of them crawling on the floor, their diaphanous wings cast off to better mate. Intent on chasing each other, they were distracted as I scooped them up (using some conference papers) and sent them to the toilet. The wings, so thin and flutter, were blown about the room. I fanned as many as I could into the corner ... a small victory over the insects for the night. Some people hold that the Akras did not come from this direction at all, but had their origin in a small village at the back of Winnebah, called Nkran at the present day. The Akra name for themselves is Ga, which duplicated into Gaga means a species of black ant, which bites severely and is the enemy of the white ant, and these ants are called Nkran by both the Tshi and Fanti peoples. If such be the case, and the name has any designation, they must have been a very numerous and powerful people, who easily subdued the original inhabitants of the country they now occupy.